This is a fifteen artist compilation CD with mainly Finnish artists but also artists from England, Norway, Sweden, Japan and the US. Most of the material is acoustic in nature, some telling stories that are quite funny like P.G. Six's "A Lake Of Beer and Three Truths". Sleeping Bags opens the track with a strange acoustic folk tune. Sounds very stoned. Pekko Käppi performs a strange but beautiful number on bowed horse hair lyre with an accompanied Jews harp. Floating Flower is members of the Acid Mothers Temple clan and the CD contains a remix of their song "Desert". Moon Fog Prophet (Kuusumun Profeetta) provide an all Finnish acoustic number. Fursaxa provide a strange track of mostly floating, echoing voices over a slowly oscillating synth wave. Scorces also provide a nearly entirely vocal number with two female voices overlapping and panned. Strange stuff. 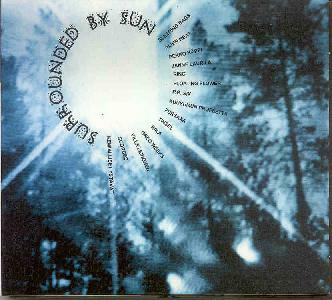 A lot of variety on this very special compilation of strange acoustic folk and experimental music.